Our MISSION is to rid you, the property owner, of the responsibility and stress associated with managing your real estate. We accomplish this by keeping your property exceptionally well maintained, safe and sound. We will carefully assess your property’s unique needs and then tailor a management program to address those needs as well as any special requirements you may have. If you’re a Condominium Association or Co-operative, we will work hand in hand with the board. We’ll chair semi-annual meetings, preparing an agenda, meeting minutes, and a list of follow-up action items. We are experts at implementing and enforcing building policies and we have experience amending association by-laws. If you’re the owner of a multifamily building, we’ll act as the primary interface to your tenants – ensuring that each and every unit is impeccably maintained, that all residents abide by the property rules, and that rents are paid in-full and on-time. 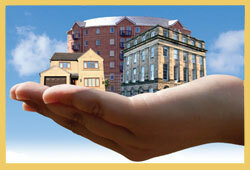 We will also proactively market your property in an effort to keep your vacancy rate as low as possible. And when you’re ready to sell or exchange your property, we’ll assist you in that effort. We manage all projects no matter how large or small. For most small projects we will have the resources to do the job, often saving you hundreds or even thousands of dollars. For larger projects, we will obtain competitive bids from licensed and insured contractors and engage you to weigh-in on the decision before awarding a job. All contractors and projects will be managed to satisfactory completion by D&M Real Estate. Finally, we will manage your property’s finances. We’ll pay all bills, deposit all receivables, reconcile all accounts, produce monthly GAAP statements, and even file tax returns. Additionally, we will create an annual budget.